NEW YORK, United States – New York Police say a Guyanese man was kidnapped, pistol-whipped, shot and set on fire as part of a plot to kill the residents of a Queens, New York apartment building. 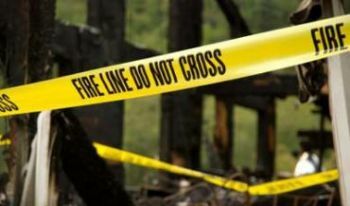 Queens District Attorney Richard Brown said that the discovery of 43-year-old Azeem Ali’s scorched remains in his burned-out Richmond Hill, Queens, apartment led investigators to Stephen Peters, 22, and Jason St Hill, 17. Police said they have charged the alleged killers, who live less than a block from the targeted house, with kidnapping, arson, murder, burglary and robbery. Brown said Peters and St Hill were arraigned on Friday and are being held without bail. If convicted, they could face 25 years to life in prison. Police said that the two accused were hired by a man who wanted to kill the building’s tenants, who had become angry with the four tenants since May, when he was accused of molesting one of the residents. Police said they are still seeking the unidentified man who hired the alleged killers to “take care of” everyone in the building, and that Ali “suffered the vengeance” in the horrific death. Police said the “hitmen” had burst into Ali’s home and kidnapped, pistol-whipped and shot him before setting him on fire. Police said that before he was killed, Ali had given his assailants his ATM card and personal identification number. His body was found on the burnt bed with his feet tied and shoulders bound with speaker wire. Police said Ali was shot once, execution-style, in the head. since u dont know why make that assumption? you are the one giving us a bad name.